Located in the Ribeira historic center of Porto, Palacio Da Bolsa was built to impress. Although it no longer operates under its original purpose as a Stock Exchange Palace/trading floor, it still hosts many important political meetings and events. Built in the 1840’s, the Neoclassical Facade is unassuming compared to its elaborate interiors. 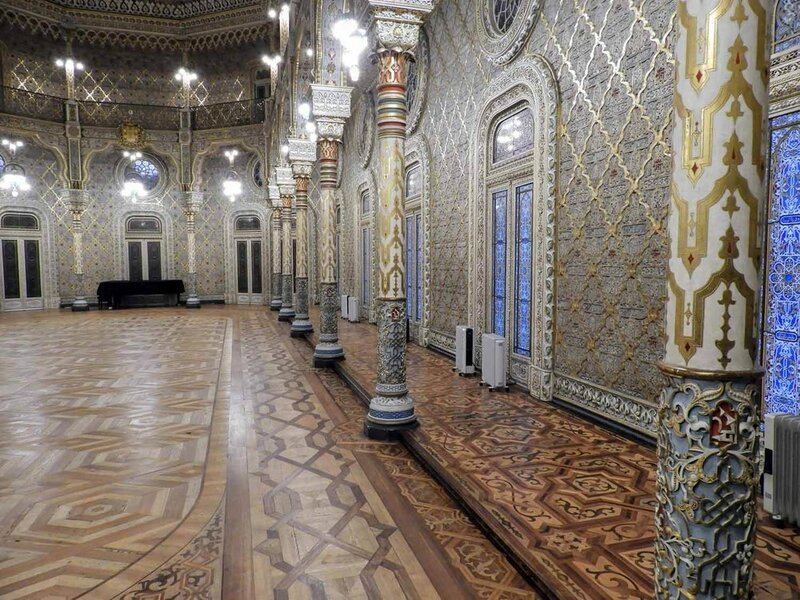 Highlights include the Ballroom known as the Salão Árabe (Arabian Hall), with it’s guilded Moorish designs from floor to ceiling, as well as the Pátio das Nações (Hall of Nations). We’ve seen many palaces and castles throughout Europe and this one is one of the most impressive yet - we particularly enjoyed the intricate flooring designs throughout the palace.